When your window is double glazed, you won’t need to spend so much money on heating or cooling down the room. This is why most homeowners have resolved to install the windows. Coolers and heaters needed for these rooms can, therefore, be reduced in size, meaning that the amount of energy required to either heat or cool the room significantly reduces. Your window is an important contributor to the overall security at home. Compared to the single-paned windows, double glazed windows are more difficult to break. The security of your home is improved, especially if the glass used is laminated or toughened. Because they are tightly sealed, opening them from outside is a daunting task. Loss of heat to the environment is much slower in double glazed windows than in single-paned windows. This is because they are airtight and hence helps in an insulation of heat. The flow of heat into and out of the house is minimized. This ensures that your house is always at a comfortable temperature. The materials used to construct these windows are strong and durable. This is why the suppliers of these windows offer very long guarantees, typically 20 years. Therefore, if chosen correctly, the windows will last long without the need to replace them. Problems resulting from mould and condensation are a lot less common in this kind of window as is the case with the single panes. This is the reason why their maintenance is not a problem. You will not have to spend considerable lengths of time in maintaining them. Noise is a major concern for those who live close to busy streets and areas. The noise needs to be dealt with somehow. Double glazing is your best bet here. A good one can reduce the outside by up to two-thirds. It helps you to have a quieter and calmer homestead. In order to get a higher resale value for your house, consider installing some double glazed windows. Even if your house is a dinosaur, it can still fetch you a fortune. Just ensure you install these window types on it. There wouldn’t be much difference compared to newer homes. They give a new look to the house. Your old house can, once again, have a new, modern attractive look about it. Most companies can make major changes in the aesthetics of your home, making it appear new and as beautiful as it used to. 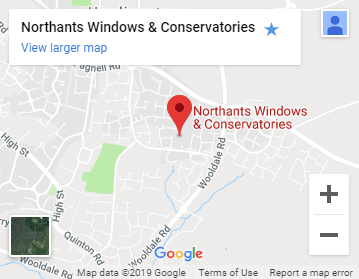 So, before you throw away the idea of double glazing, consider if there is any other way of getting the above benefits from you single-paned windows. Surely, there is no other way of achieving all these benefits at your home.